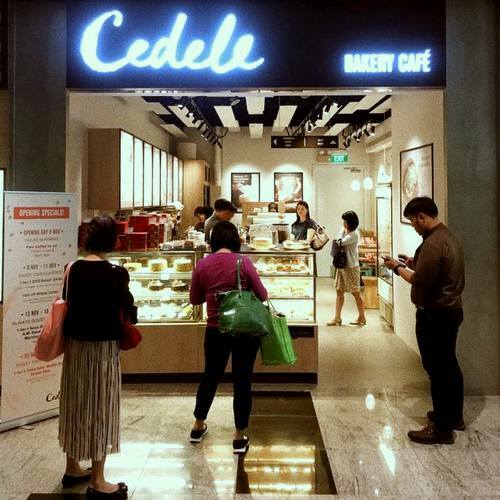 Cedele Bakery Cafe has a network of 24 locations throughout Singapore, including one within Tanjong Pagar Centre (7 Wallich Street). Established in 1997, Cedele bakery cafe is now a household name island-wide, found within business districts, suburbs, and shopping malls. The overall Cedele philosophe focuses on freshness, delicious & original recipes, high quality natural ingredients, handmade from scratch and with no preservatives & no emulsifiers, utilizing organic unrefined sugar. …refreshing salad meals with brie toast and own-made dressings, lovingly handcrafted luscious cakes, handmade pastries, muffins, and cookies that you can easily pair with organic fairtrade coffees, caffeine-free wellness teas, lassi shakes, as well as chocolate drinks. Cedele is available all day for breakfast, lunch, tea, breaks, or dinner, with a range of vegetarian-friendly options available. The official Cedele Bakery Cafe Singapore Facebook brand page is located at www.facebook.com/cedelesingapore. Following the Facebook page, you’ll learn more about the available menu items, Cedele’s promotional offers, events, and much more.